Swami Vivekananda was born as Narendranath Dutta on 12 January 1863 and died on 4 July 1902. He and was the chief disciple of the 19th-century saint Ramakrishna Paramahamsa. Swami Vivekananda was one of the most prominent figures of India who introduced Indian philosophies of Vedanta and Yoga to the “Western” World. Swami Vivekananda is credited with raising interfaith awareness, bringing Hinduism to the status of a major world religion during the late 19th century. Swami Vivekananda is also considered as the major force in the revival of Hinduism in India and contributed to the concept of nationalism in colonial India. Swami Vivekananda is best known for his speech which began, “Sisters and brothers of America …,” at the Parliament of the World’s Religions in Chicago in 1893 in which he introduced Hinduism. This speech was considered as one of his most significant contributions to the world and was a breakdown of the ancient philosophy of Hinduism, aided with logic and impeccable scientific insight. 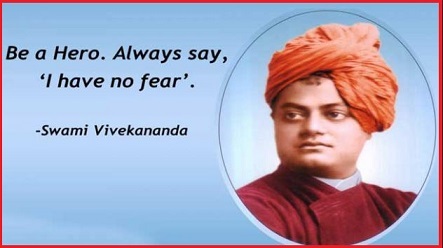 Swami Vivekananda birth anniversary on 12th January is celebrated as National Youth day every year across the nation. Swami Vivekananda was featured on stamps of India (1963, 1993, 2013, 2015 and 2018), Sri Lanka (1997 and 2013) and Serbia (2018).